We are providing Frosted Film to our clients. These film protects from harsh sun rays and dust particles. 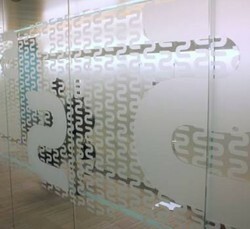 Frosted Film 3M is glossy opaquebest for office Glass, logo cut design can be done on Glass and it gives a frosted look for privacy in offices . It is activated by exposure to near-ultraviolet, visible light. It is intended for screen printed, die cut, hot stamped, or electronically-cut graphics where high visibility markings and weather resistance is needed. Product description: Blessed with successful track record of years, we are efficient in providing Frosted Films. 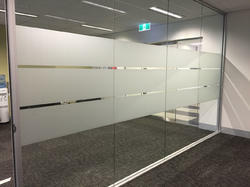 Our company has gained name and fame in presenting Door Glass Film. We are offering Frosted Film to our client. - Brands: 3M, Garware, Amcor, etc.